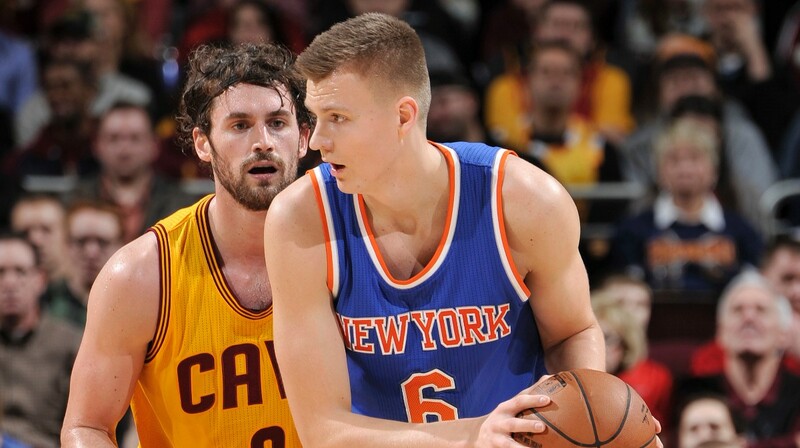 The Cavs stepped up their defense in the fourth quarter to grind out the win over the Knicks. It was not a pretty win, but they held the Knicks to just 12 points in the fourth quarter. Kristaps Porzingis led the team in scoring during the night, but he was held scoreless in the fourth and only got one shot off that quarter, and that was a half court heave as time expired. Aaron Afflalo took ten of the Knicks twenty-four shots down the stretch going 4-10 for eight of the twelve points. The lock-down defense was huge in allowing the Cavs to sneak by as they only scored 19 themselves in the fourth. The Cavs have been known to have some scratchy free throw shooters on their team. While the Knicks themselves went 15-16, the Cavs took the most of their opportunities going 22-25 for the night. They hit a lot of key free throws in the final few minutes and Tristan Thompson was 6-6. This may not look impressive but those seven points was the difference between a win and an overtime game. The Cavs really won the battle inside the paint tonight. That was big for them going up against a freak athlete in Porzingis and another really good interior player in Robin Lopez. Lopez was never a major factor in the game and while Porzingis had a great game, the Cavs shut him down when it mattered most. On the Cavs end, Kevin Love put together a solid effort. He had another double double on the year with 23 points and 13 rebounds with most of his work coming inside. Thompson joined Love in the double double department, hitting all his free throws on way to 10 points and gaining 14 rebounds. While the Cavs missed a lot of easy shots inside, their ability to get into the paint and create opportunities allowed them to go to the line and get points inside since they only shot 22.7% from deep.